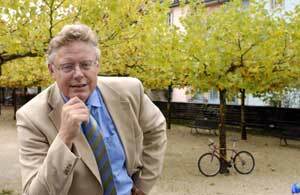 Klaus Grawe was Professor of Clinical Psychology and Psychotherapy at the Department of Psychology at the University of Berne, Switzerland. He also directed the outpatient clinic for psychotherapy at the University of Berne as well as the post-graduate training program in psychotherapy for clinical psychologists and medical doctors at the Institute for Psychological Therapy in Zürich and Bern. Born in Wilster/ Schleswig Holstein, Germany, in 1943 as the second of four children he grew up in post-war Hamburg with a love of literature, chess, music and swimming. He went to the humanistic track of a Jesuit preparatory school and decided to study history and philology at the University of Hamburg. However, he soon discovered that he had different interests. A soccer accident left him blind for three months. During that time he changed his plans and decided to study psychology. He began his studies at the University of Hamburg and focused on experimental psychology. He earned his master degree (Diplom) in 1968 and his Ph.D. in 1976. From 1969 to 1979, he was clinical and research associate at the Psychiatric Hospital at the University of Hamburg. During this period, he also trained in client-centered and behavior therapy. In 1971, he cofounded the first inpatient psychotherapy ward at the same hospital, and started his first comparative treatment study. He also began to teach, supervise and train graduate and postgraduate students in clinical psychology and behavior therapy. In 1979 he finished his habilitation at the University of Hamburg and – even before finishing it – received an appointment as Full Professor at the University of Berne in Switzerland. He not only drafted the new curriculum in Clinical Psychology and Psychotherapy, but also founded the outpatient center as well as an outstanding post-graduate training program. His research interests spanned a wide range of major topics in psychotherapy research, including outcome and process research, assessment, quality management, large-scale meta-analyses, and theoretical integration. His 1994 meta-analysis on the outcome of psychotherapy was the most comprehensive and ambitious in German, and triggered a heated debate in academic circles as well as in the larger community about the efficacy and effectiveness of psychotherapy in general and various approaches. He also contributed to the German psychotherapy legislation as a scientific advisor. Although he viewed a sober analysis of the effects of psychotherapy as a necessity, his scientific heart belonged to more fundamental questions such as: How does the therapeutic process develop? Which ingredients make a good psychotherapy beyond the limits of schools of psychotherapy? How can we best train psychotherapists for their demanding tasks? His most recent contributions focused on the integration of the new emerging fields of neurobiology and brain sciences with clinical psychology and psychotherapy. With his innovative and profoundly important last book “Neuropsychotherapy: How the Neurosciences inform Effective Psychotherapy” he bridged the gap between the neurosciences and the understanding of psychological disorders and their treatment. The book illustrates that psychotherapy can be even more effective when it is grounded in a neuroscientific approach. Cutting across disciplines that are characteristically disparate, the book identifies the neural foundations of various disorders, suggests specific psychotherapeutic conclusions, and makes neuroscientific knowledge more accessible to psychotherapists.